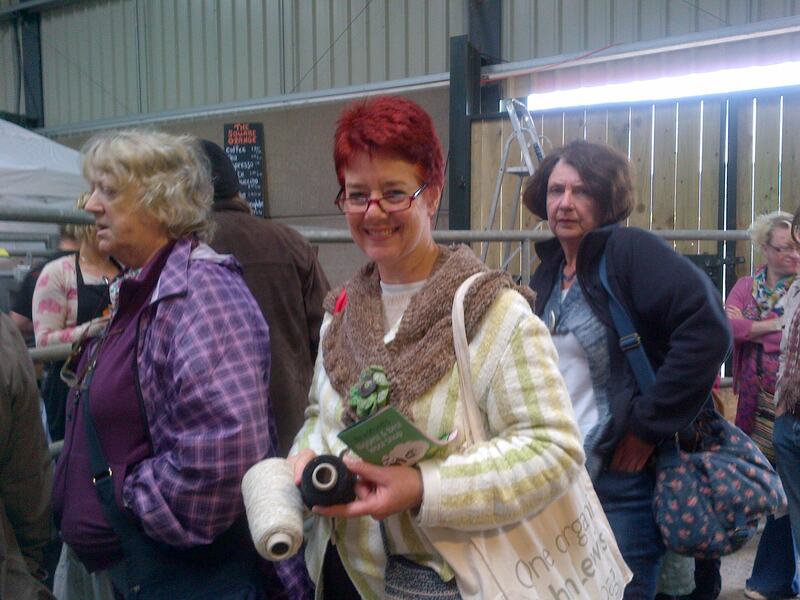 Woolfest, for those of you not in the know began nine years ago and was the brainchild of a co-operative called the Wool Clip. They were already very involved in all things to do with sheep, spinning, weaving, felting and dyeing and felt there was a big need to share their passion with the many like minded people out there. Since that beginning this event has grown in popularity and quality and is a mile stone on the calendar for Sarah and I. 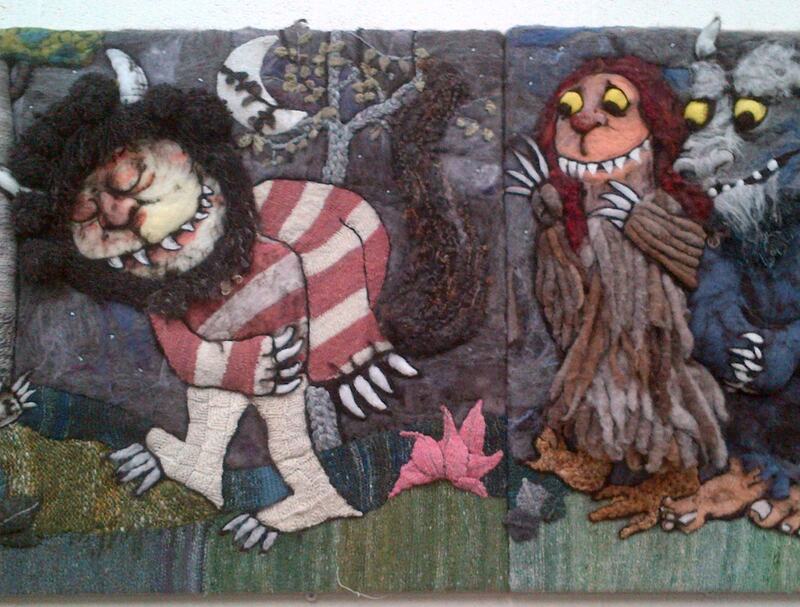 Here are just a few of the things we really loved this year including this wonderful wall hanging. 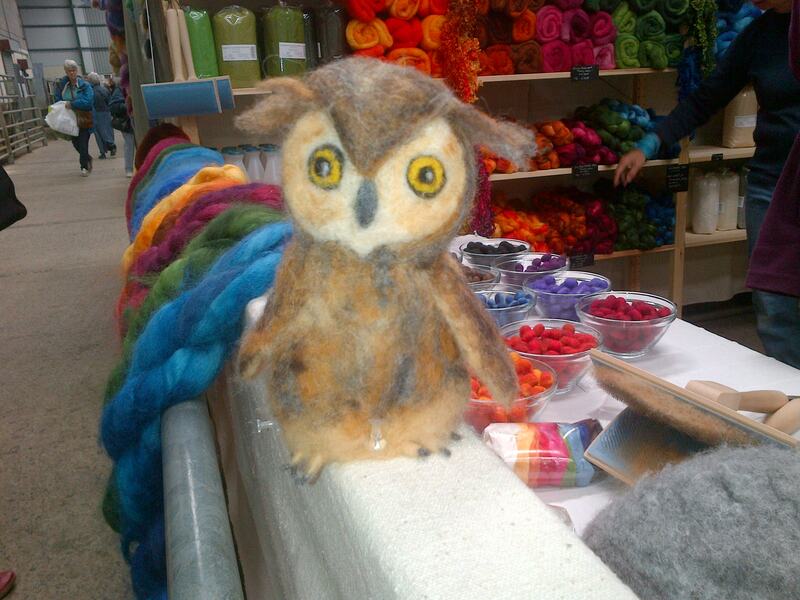 This was a stand with lots of coloured batts ready for felting. They had a great demo going on all day. 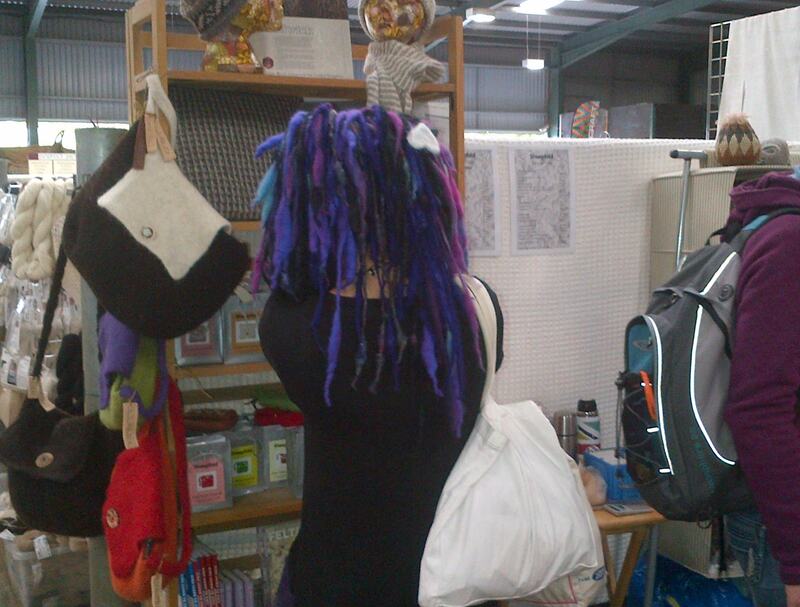 This is another great use for gloriously coloured wool slivers. 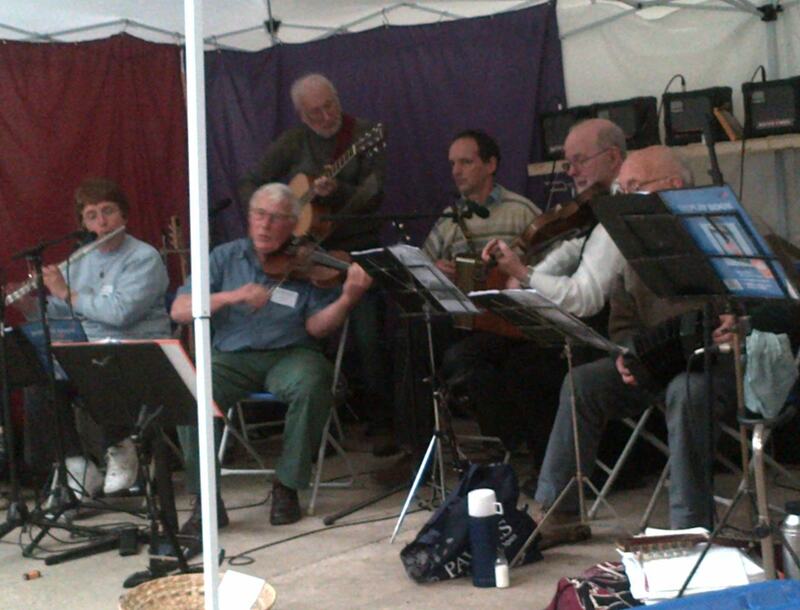 All this lovely wool experience is accompanied by a group of wonderful local musicians who play all through the day. There is lots of seating around them so you can rest a while and eat, drink and enjoy the atmosphere. For those of you have enjoyed Transatlantic Sessions on BBC Alba you will know the sort of music they are playing, local Cumbrian come Appalachian Mountains. 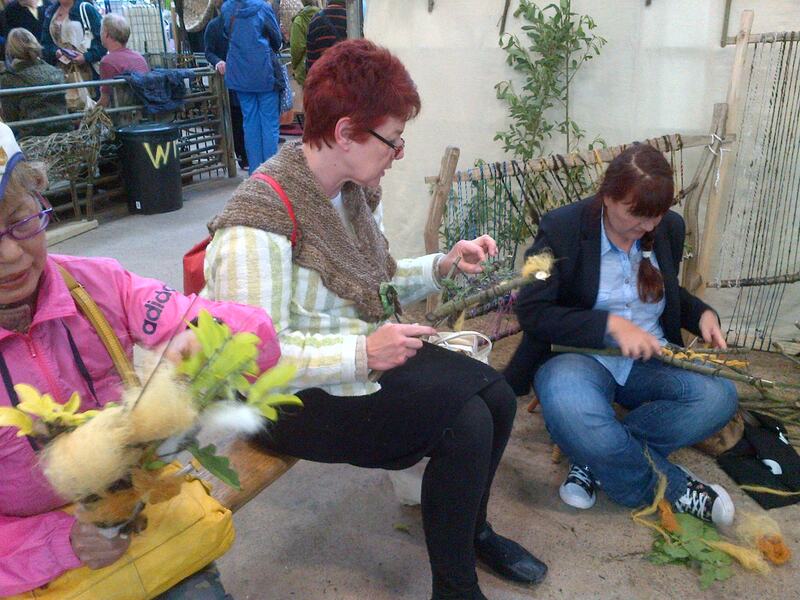 This was one of the stands where you could have a go and try weaving with natures materials. 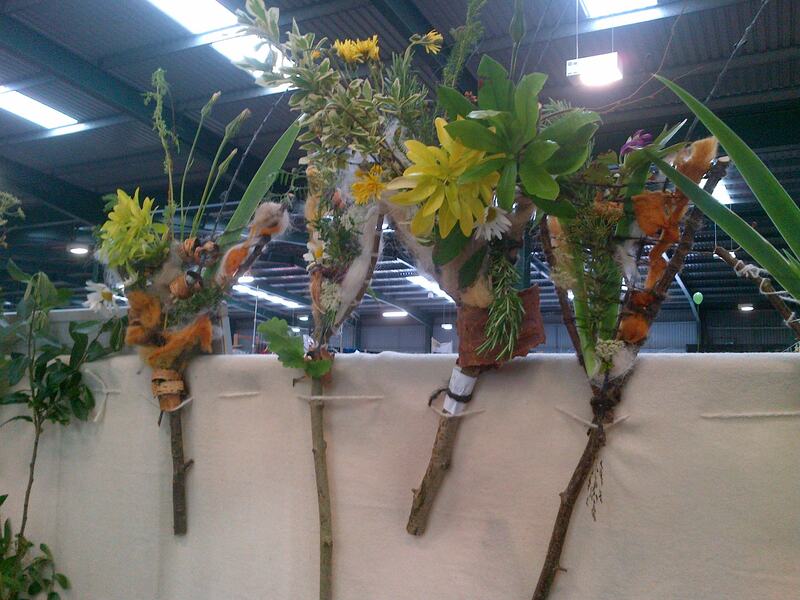 The flowers, leaves and fibre were all provided along with some simple guidance in winding around your twiggy loom. The finished branch were all so different and very beautiful. Men too have a good time at Woolfest. 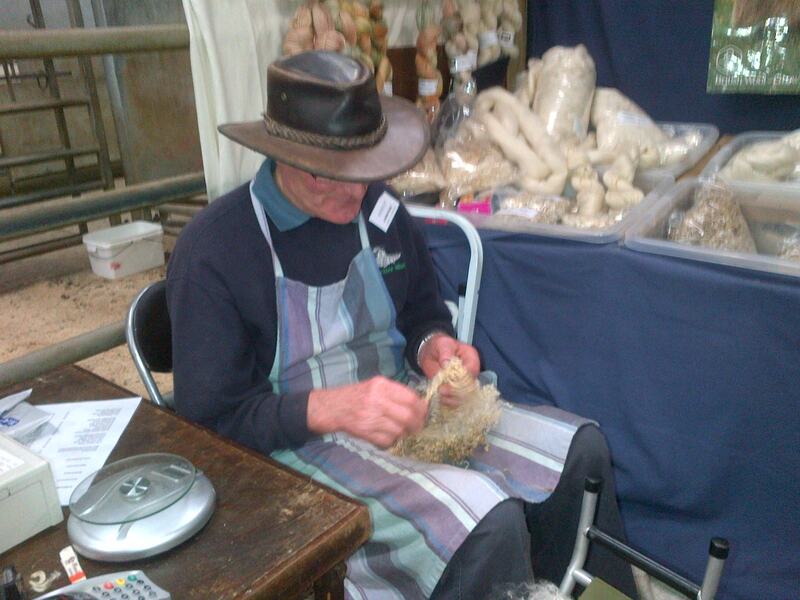 This chap is on the Teeswater stand sorting his fleece. Teeswater sheep are huge and very beautiful and have been bred for over two hundred years. The wool is used for tweeds and is long and lustrous and great to spin and dyes superbly. 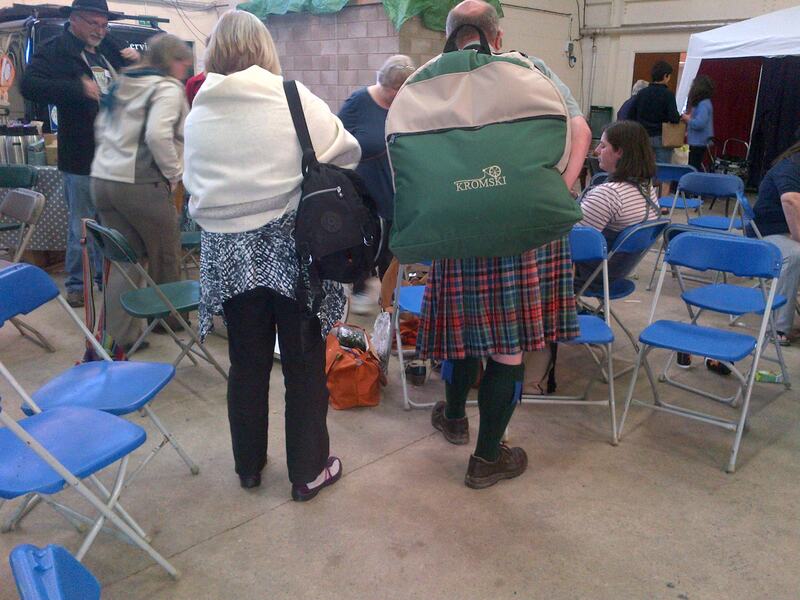 It is always good to get a man to carry your bags…..especially wearing a kilt. 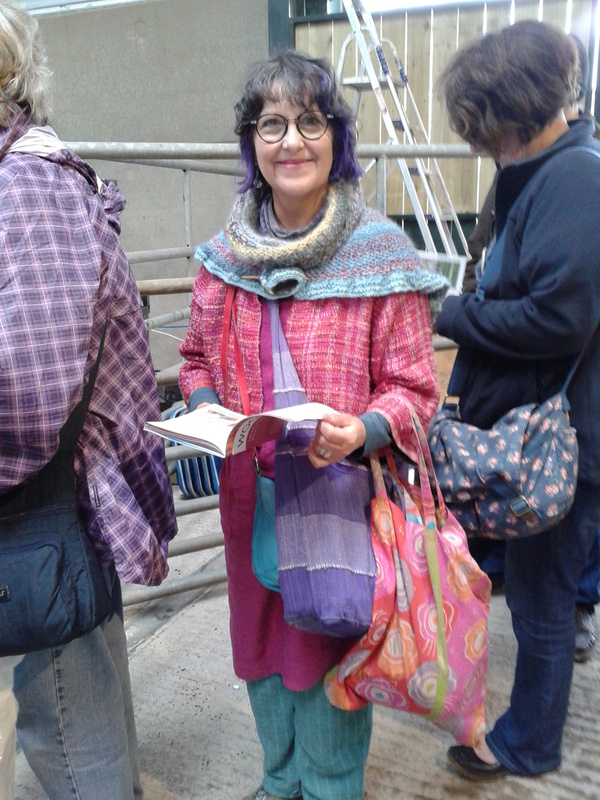 There is always the danger of looking like a bag lady at these events but as long as they are all handwoven (or Gudren!) then we don’t mind.